It was the custom of the Arabs to call their most famous warriors to step forward for single combat as a prelude to the general engagement of both sides in battle. The Prophetﷺ usually asked Hadrat Ali (KaramAllahu Wajhu) to undertake such single combats. With Allah’s will, he bested every opponent. He was, therefore, widely known by the title Victorious Lion of Allah. The heroic performance of Hadrat Ali (KaramAllahu Wajhu) was no doubt rooted in the spiritual inspiration of the Prophet. For Muhammadﷺ once said, “The real hero is not the person who prevails over his rival in combat. The real hero is the person who controls himself in times of anger.” (2) Hadrat Ali (KaramAllahu Wajhu) was a good example of the sort of real warrior pointed out by this saying of the Prophetﷺ. He lived a life in which he triumphed over his ego all the time. With this answer, Hadrat Ali (KaramAllahu Wajhu) raised the veil from the heart of the enemy soldier. The man was enlightened with faith, and became a Muslim. 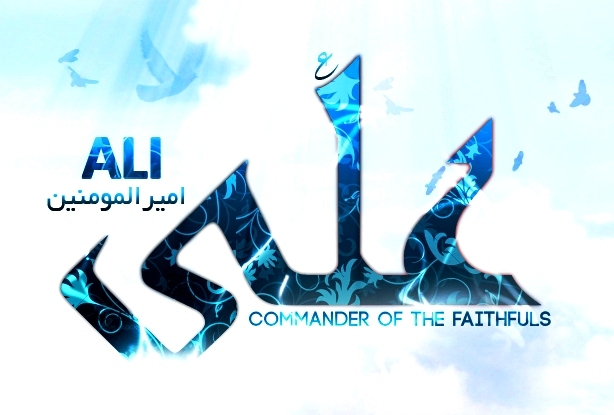 Later this new Muslim took part in many battles at the side of Hadrat Ali (KaramAllahu Wajhu). He followed Hadrat Ali’s teaching, differentiating carefully between anger for the sake of Allah and anger for the sake of one’s own passions. He gave the battle against his lower self priority over fighting any other enemy. They followed his instruction, and took out the arrow easily. When Ali (KaramAllahu Wajhu) finished his prayer, he asked them whether they had been successful! Prayer removed him from the possibility of pain. He used to pray as if he had already departed from the world. (1) Ramazanoğlu Mahmud Sami, Hz. Aliyyu’l-Murtaza, 54. (3) Ramazanoğlu Mahmud Sami, Hz. Aliyyu’l-Murtaza, 117.